When Apple moved to iPhone 4 and iPhone 5, there were tremendous constraints that Apple wisely overcame to determine exactly how it made its phones with higher resolution and then larger (taller). How? With the iPhone 4, Apple exactly doubled the resolution, leading to a 2x “Retina” resolution. And with the iPhone 5, Apple kept the pixel density (pixels per inch) the same, but just extended the screen size vertically, to create a 16:9 screen ratio. 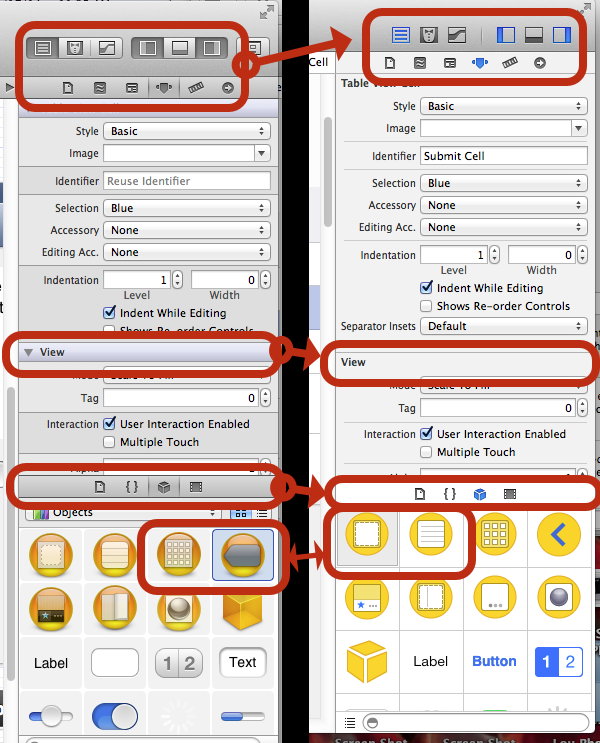 This resulted in a great user experience, as well as minimizing the efforts for developers and UI designers. Daring Fireball discusses an article imagining how complicated iOS will get if it gets the split-screen, multi-app view that Windows 8 has. But I think they’re completely missing the point of iOS 7’s apps owning the whole screen and living “behind” the status bar. Is the new look of OS X 10.10 staring us right in the face? A few weeks ago I wrote about the new, flat look of OS X 10.10, and how it could be inferred from Xcode. But that was just a very small taste of what could be coming. Lately, after getting a Windows PC and using iWork on iCloud, it suddenly dawned on my that the new look of OS X 10.10 is probably staring us all right in the face. 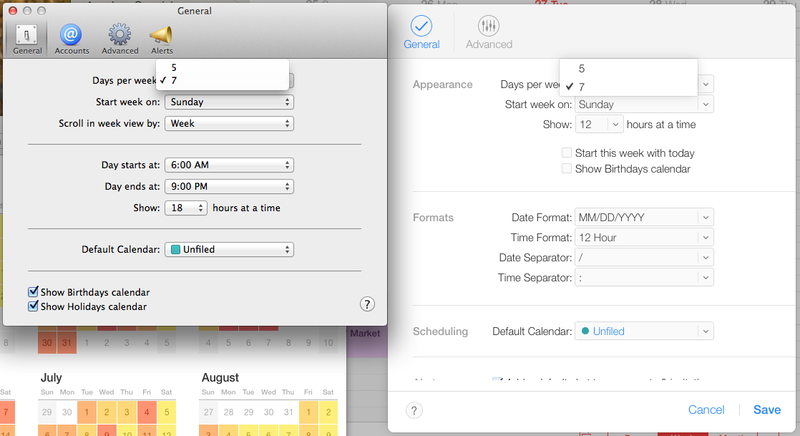 Calendar preferences on OS X 10.9, left, and on iCloud Calendar, right. Now that iOS 7 has gone to a very spare, flat look, there’s been wild conjecture about what will happen in a few weeks at WWDC 2014, when Apple is set to release a beta of OS X 10.10.